Lee Min Ho is the gentleman for Trugen · K-POPPED! 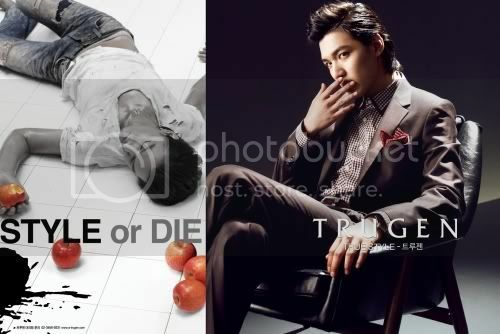 Boys Before Flowers star Lee Min Ho looks truly like a gentleman in his Trugen (트루젠) fashion spread. The Korean menswear brand, has chosen Lee Min Ho as their model. Previously Jo In-sung modeled for Trugen, but he is now serving his two year compulsory military service. Trugen is having a Style or Die promotion. If you are in Korea and purchase more than KRW100,000 during the promotion period, you stand to win a KRW20,000 voucher via a lucky draw. The promo period ends 12 July and winners will be announced on the 15 July. 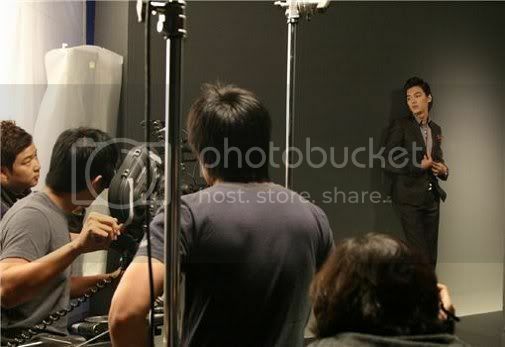 Lee Min Ho shot a couple of CFs from Trugen which were released in June. Check out pics of Min-ho in Trugen’s summer suits and behind the scenes stills and video of the CF shoot. 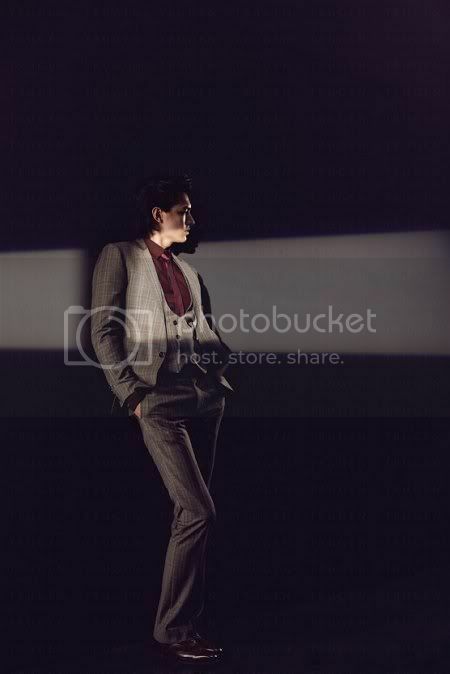 Lee Min Ho in a gray suit and matching maroon shirt. If you remember, he wore this for his fan meeting – birthday bash too. 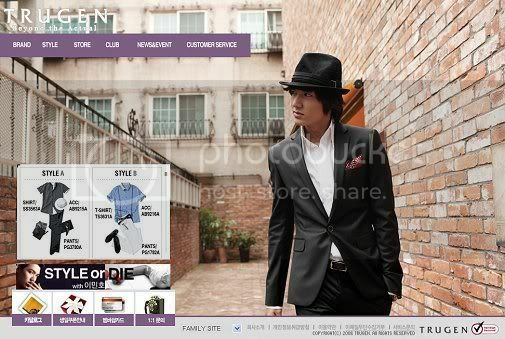 Go to Trugen’s official website, and you will find Lee Min-ho there! he is so overrated,but what else can he do but squeeze out his last juice of fame? love min ho a lot.. huhu.. i really love him with gu jun pyo's hair.. so stylo. i hate himpose and his hand touch his lip. look like erm..